Being a Chicago Cubs Fan all my life has been a patient process over the years until the 2016 World Series. After 108 years of losing, every Chicago Cubs Fan united (physically and spiritually) in a celebration that made it into the record books as the 7th largest gathering of people in history. This post contains affiliate links and you can ready my full disclosure here. Although the World Series is behind us the excitement is still here. 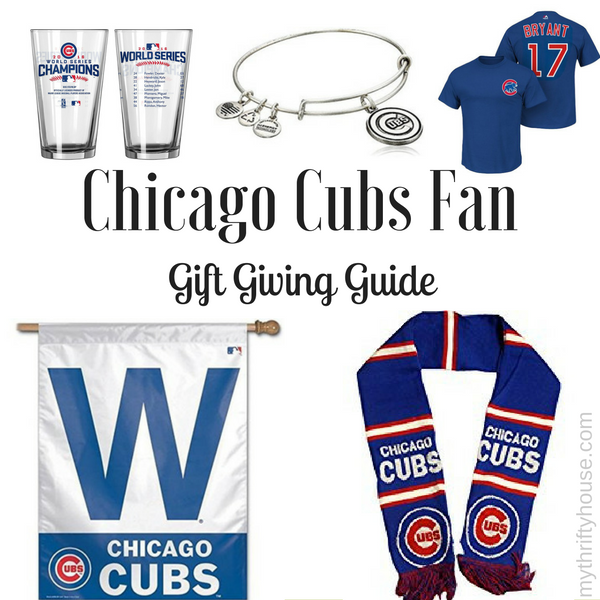 Every Chicago Cubs Fan that I know is still talking about the games and I am seeing some really fun accessories and gift giving ideas for any baseball fan on your gift giving list. 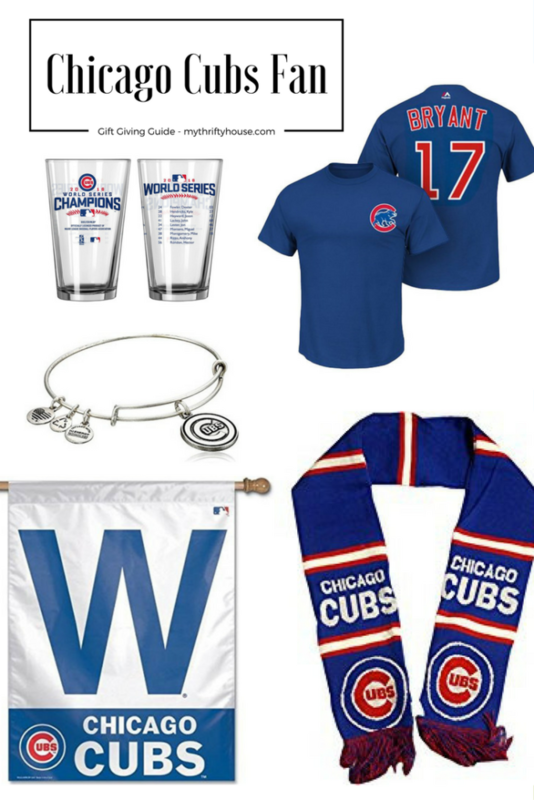 As we know, you can be a Chicago Cubs Fan year round, win or lose, so these gifts will always be in style. Selfishly, these gifts are all on my personal wish list so someone needs to tell my hubby. Yep, stack em high. 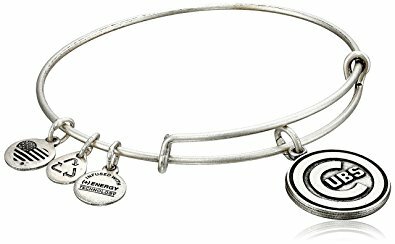 I have added this beauty to the stack of bracelets on my arm. 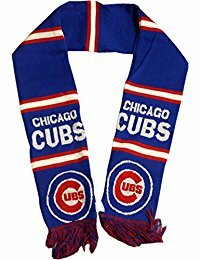 It does get cold here in the Midwest and this scarf is a necessity all winter long and sometimes in the Chicago spring too. 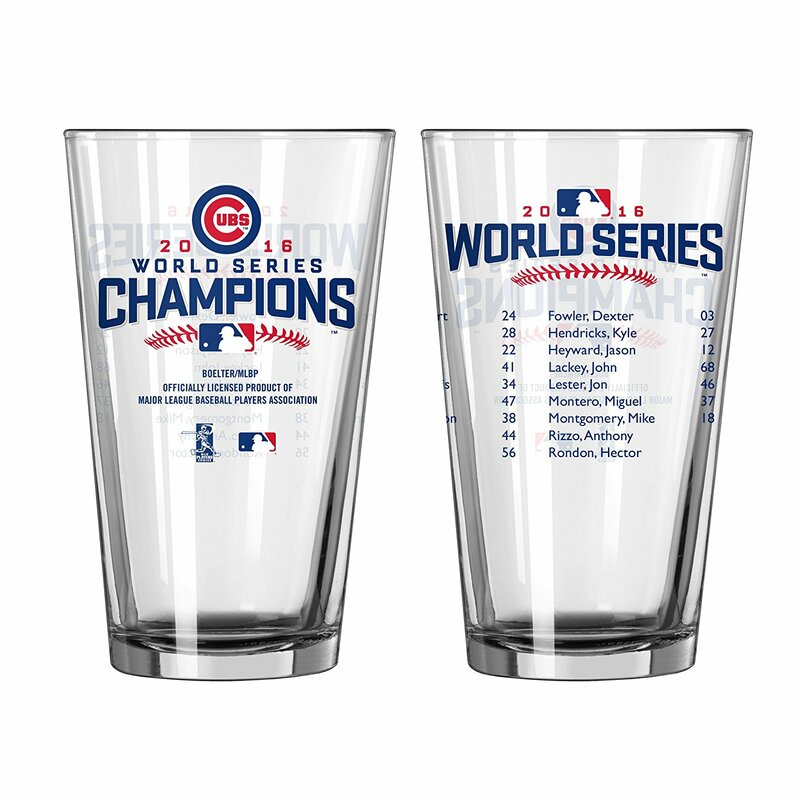 For years, I have been collecting pint glasses from the thrift store but these would be an approved and welcomed full price purchase for the collection. 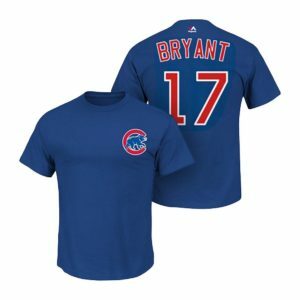 Sadly, although we share the last name, I am not related to Kris Bryant but our whole family will be sporting these shirts of our MVP distant “cousin”. I gladly fly the “W” on my front porch and keep a mini “W” flag on my glamper. 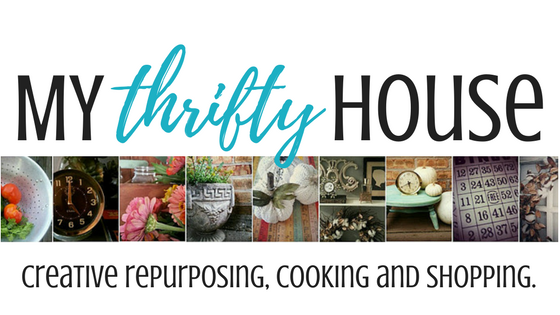 For your year round gift giving needs, visit my Shopping Page for more fun giving ideas for anyone on your birthday or holiday list. This entry was posted in Father's Day, Gift Giving Ideas, Mother's Day and tagged gifts, shopping. Thanks for the link up invitation. We spoke too soon, there is an existing list for Cubbie fans like us! This feels like a challenge to not purchase all of it, but we clearly failed, we want all of them, the last thing missing is the whole team to take home (-impossible but we still want it) We got excited with all of these!